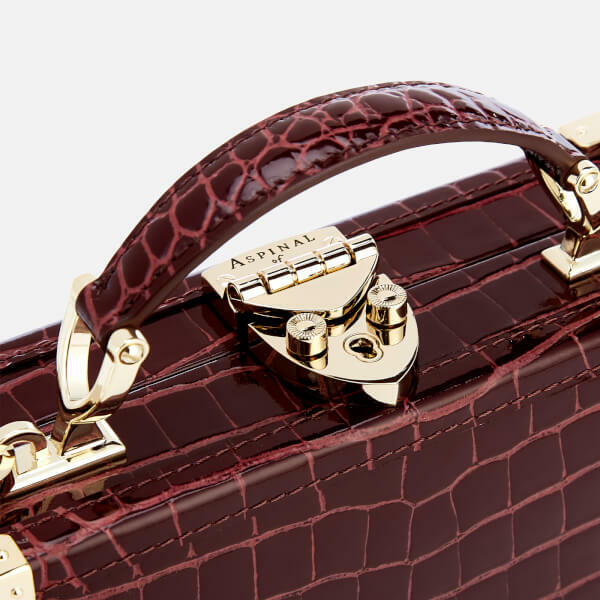 Inspired by vintage luggage, the Aspinal of London 'Trinket' trunk has a structured, boxy design that's trimmed with gilded brass corners for a nostalgic feel. 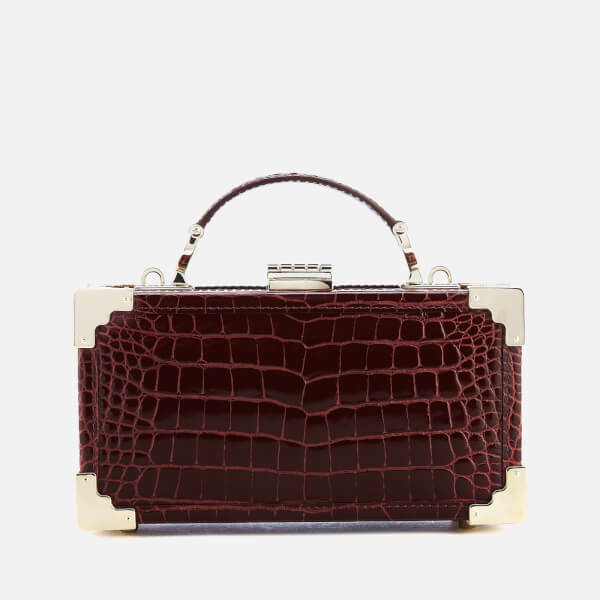 Handcrafted from the finest quality Italian calf leather, the sturdy box clutch showcases a regal bordeaux patent croc design with a deep glassy shine. 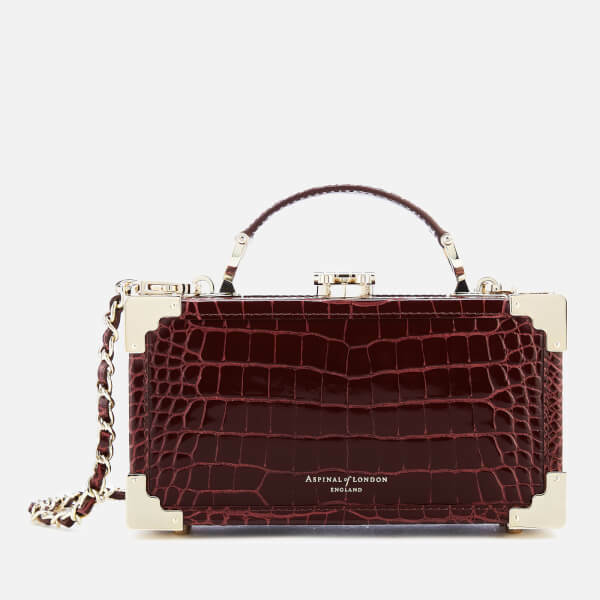 Secured with a shield lock, the bag opens to reveal a shimmering grosgrain-lined interior with elasticated slip pocket and single zip pocket for safe storage. 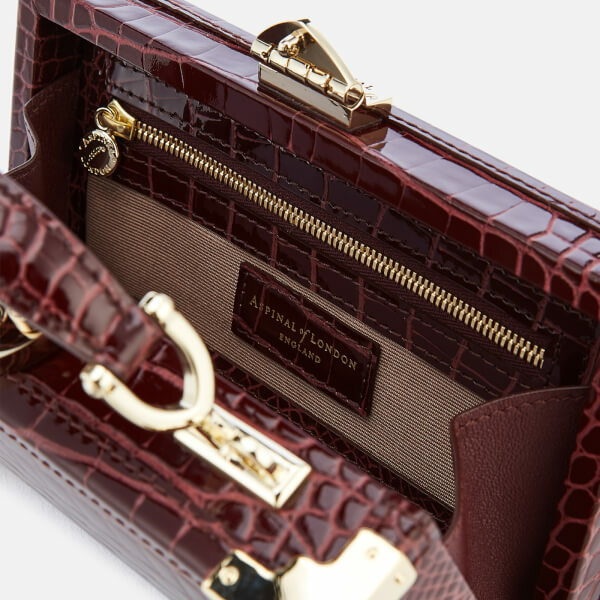 Finished with gold foil branding, a leather-bound top handle and detachable chain and leather shoulder strap for versatile styling. Protective base feet. Arrives in a branded gift box. Dimensions: H: 10cm x W: 19cm x D: 5.5cm. Strap Drop: 57cm. Handle Drop: 5cm.